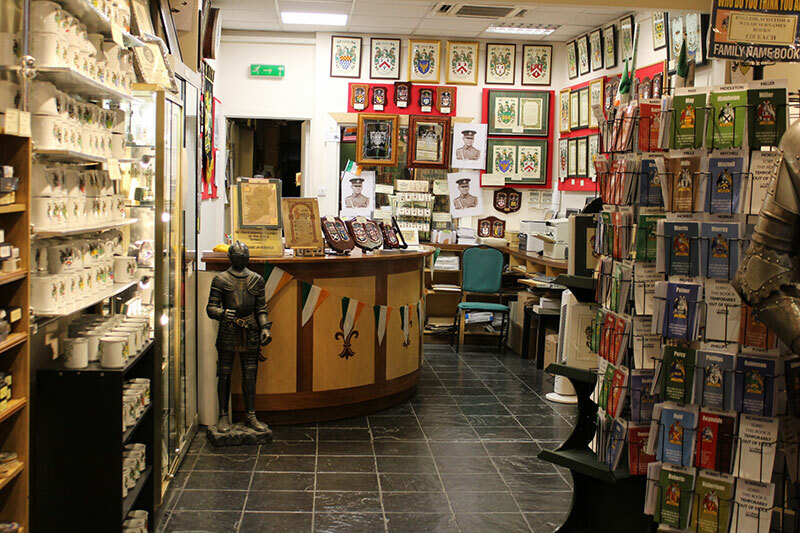 The practice of bearing an individual coat of arms reaches back to the 12th century. In the confusion of battle, knights in armour could only be identified by the markings on their defensive shields. 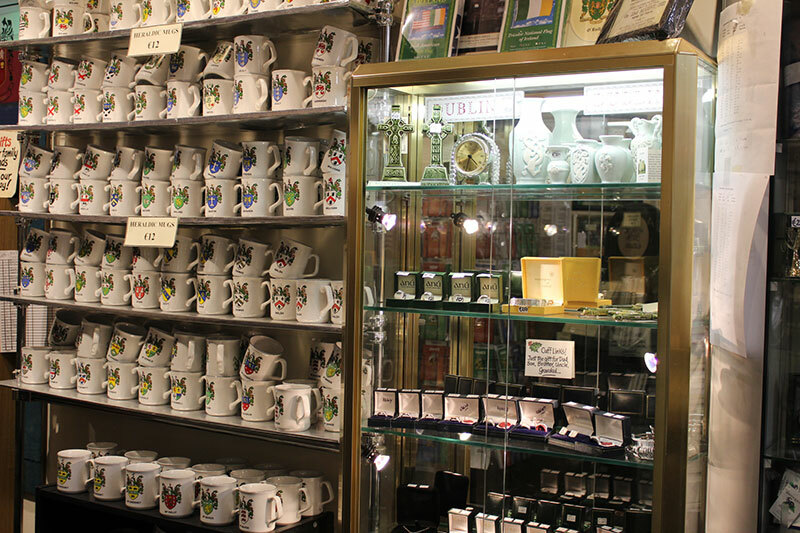 Such markings were entrusted to officials known as Heralds, who created and recorded armorial bearings and regulated their allocation. The written records are technically known as BLAZONS. 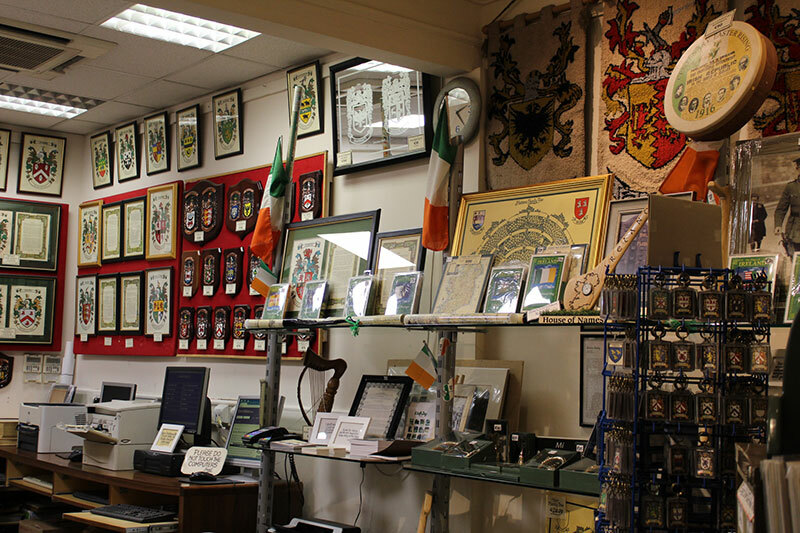 Most blazons have three components: ARMS, CREST & MOTTO. In medieval times the arms were borne on the knight’s defensive shield – the crest on his battle helmet. Mottoes often originated as a war cry. 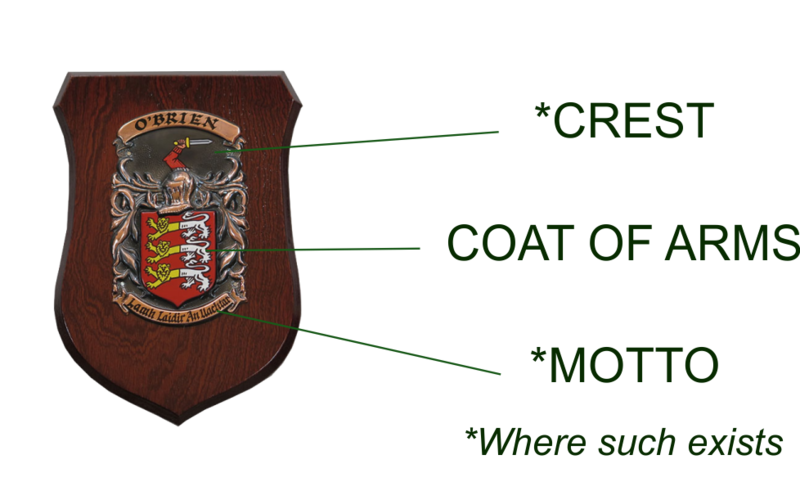 As our diagram explains, the coat of arms is SEPARATE and DISTINCT from the crest. 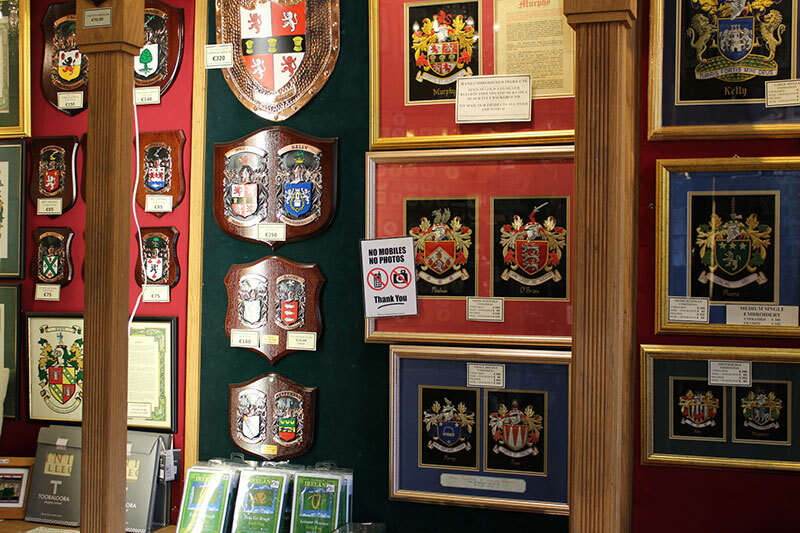 Our wall shields and parchments display, in addition to the arms, the crest and motto where such exist.